design design (required)Name's Room + Action (e.g. 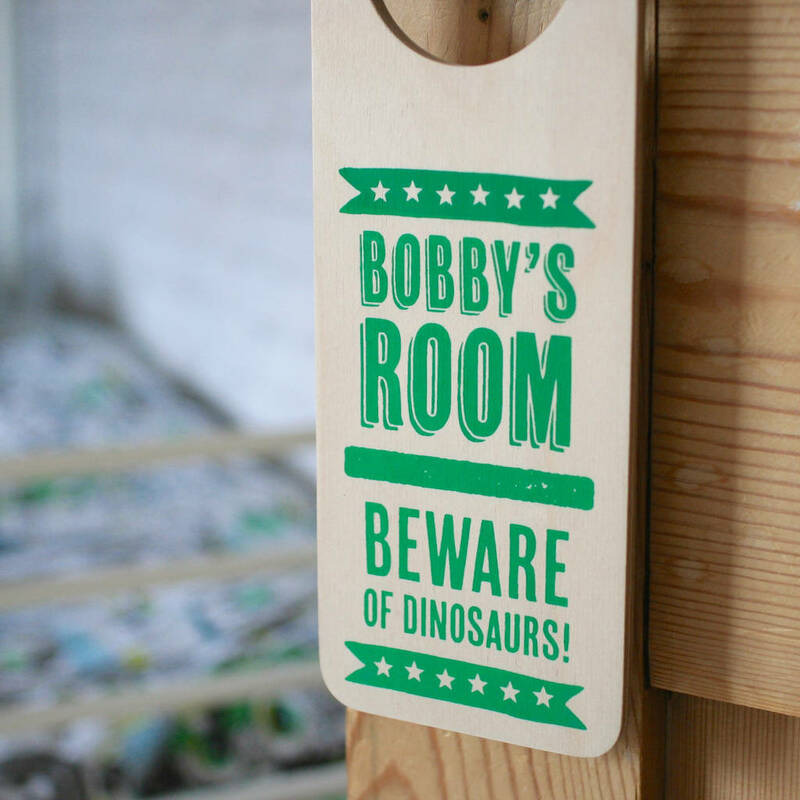 Bobby's Room + Beware of Dinosaurs)Bespoke Wording - Anything you like! design (required)Name's Room + Action (e.g. 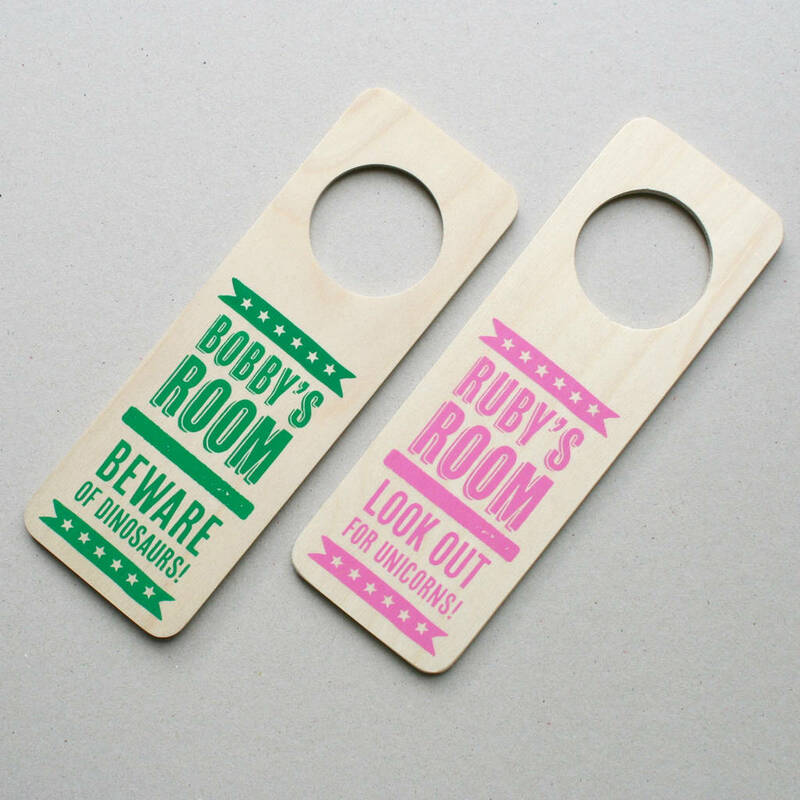 Bobby's Room + Beware of Dinosaurs)Bespoke Wording - Anything you like! design (required)Name's Room + Action (e.g. 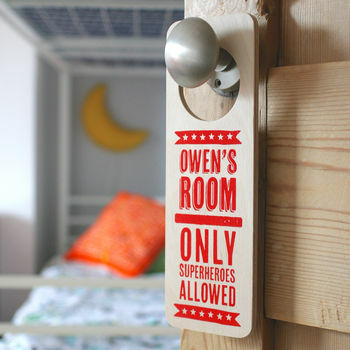 Bobby's Room + Beware of Dinosaurs)Bespoke Wording - Anything you like! design (required)Name's Room + Action (e.g. 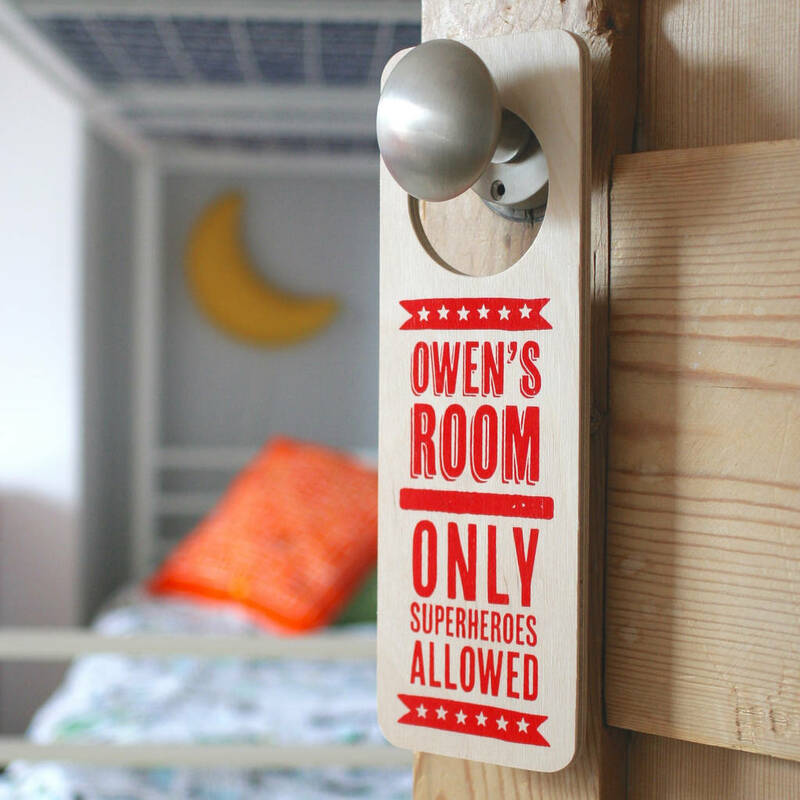 Bobby's Room + Beware of Dinosaurs)Bespoke Wording - Anything you like! 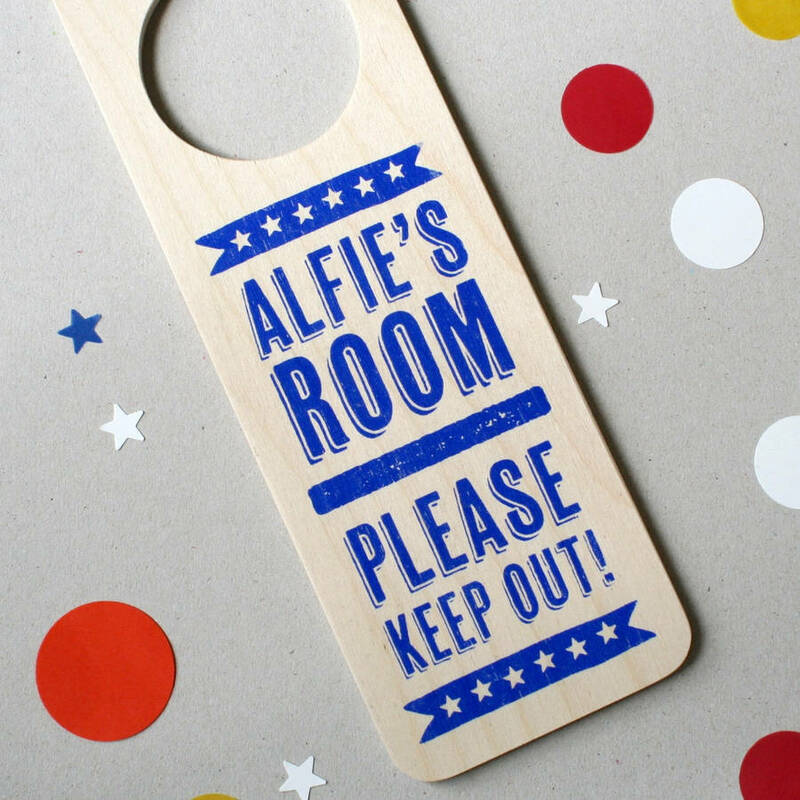 This cute screen-printed wooden door hanger would make a great personalised gift for Christmas. 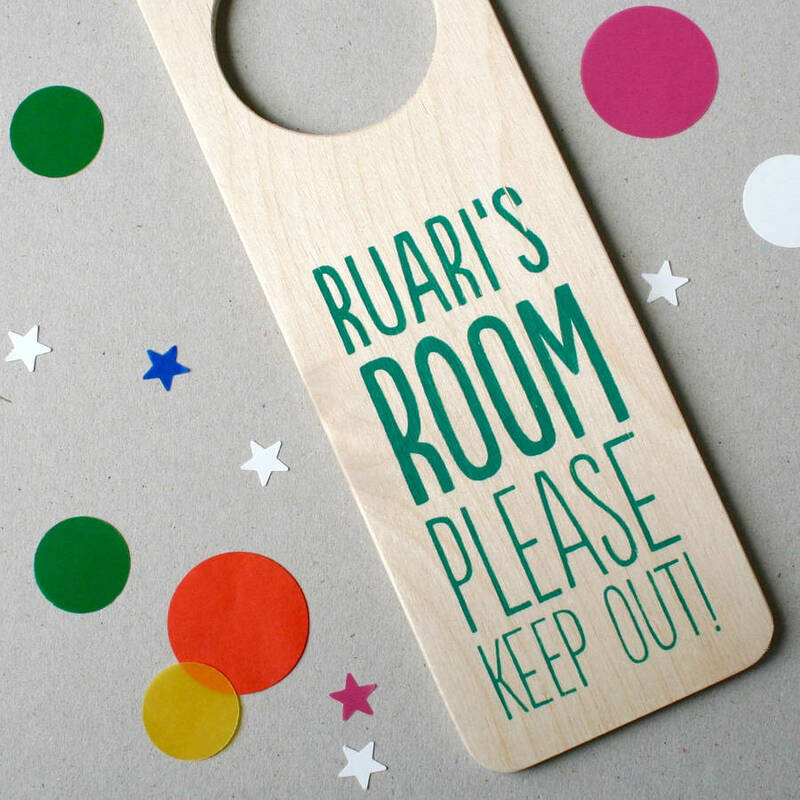 It works as a gift for a hardworking mum or dad, a gift for a new baby and proud parents, a decoration for a child's or teenager's bedroom, or just something completely unique for you or a friend. 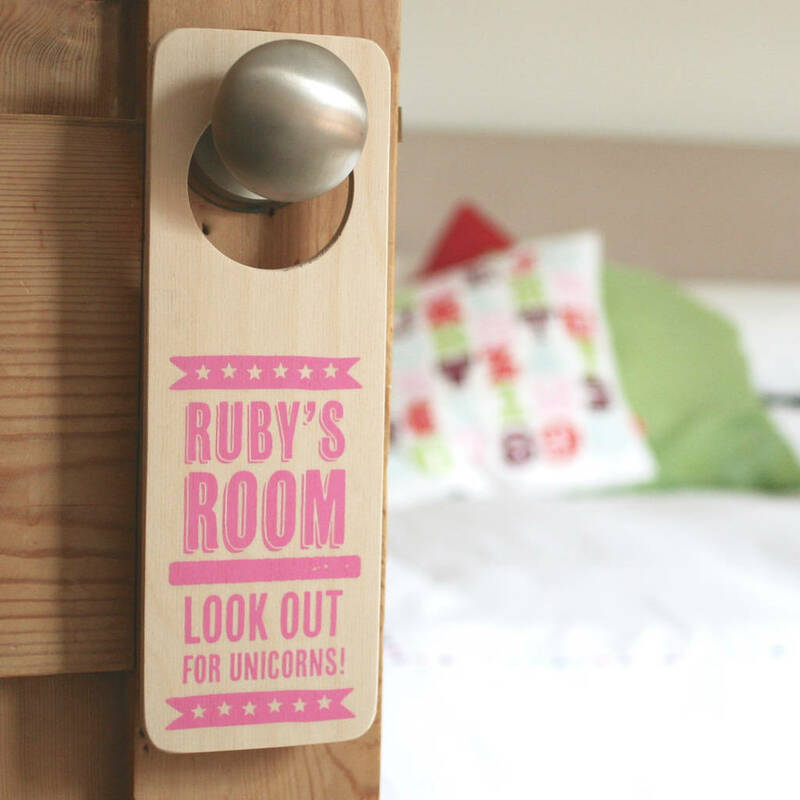 It could warn visitors about dinosuars or unicorns, ask someone to bring you a cup of tea or simply do not disturb. Would make a lovely stocking filler for little ones this Christmas. 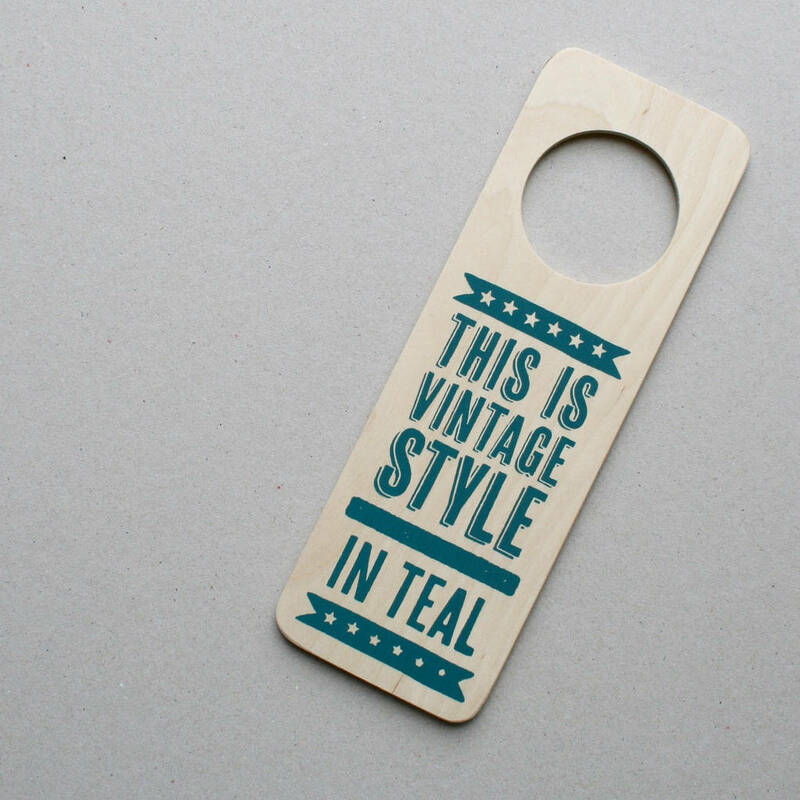 Crafted in Great Britain from birch ply wood and screen printed by hand in our studio, the door hanger can be customised to make a truly unique gift. 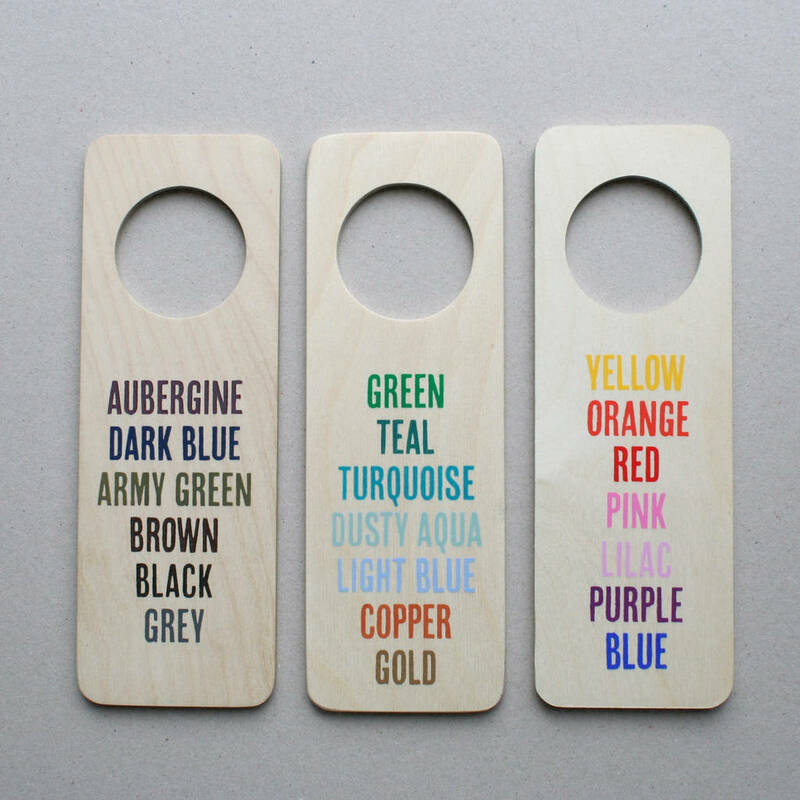 All you have to do is choose which options you want, add your personalised details and what colour in the option menu! 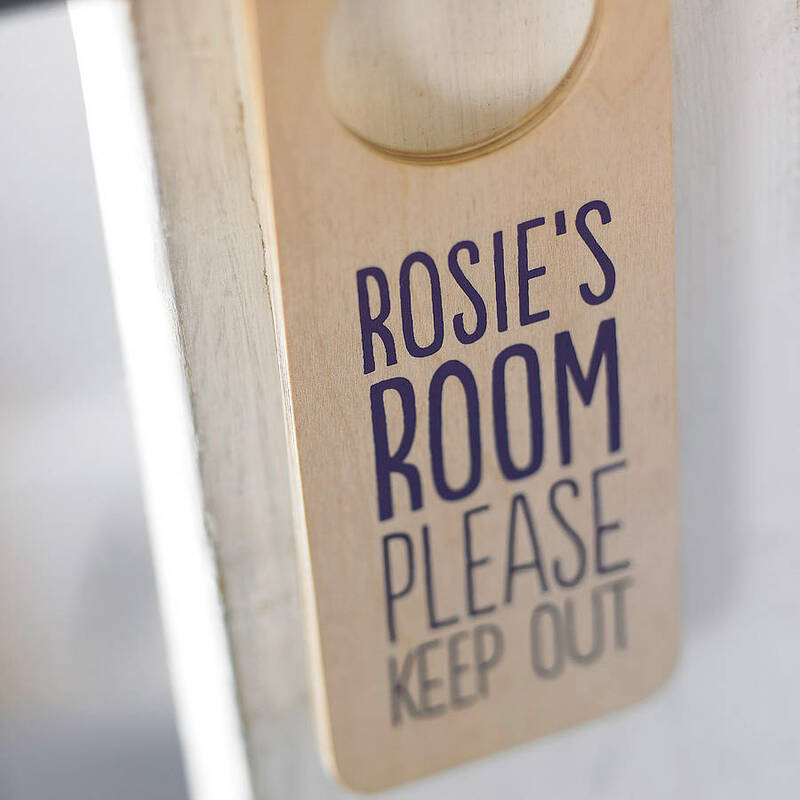 We can also print onto both sides if you'd like, you may want 'keep out' on one side and 'come in' on the other. You can choose this option in the menu. 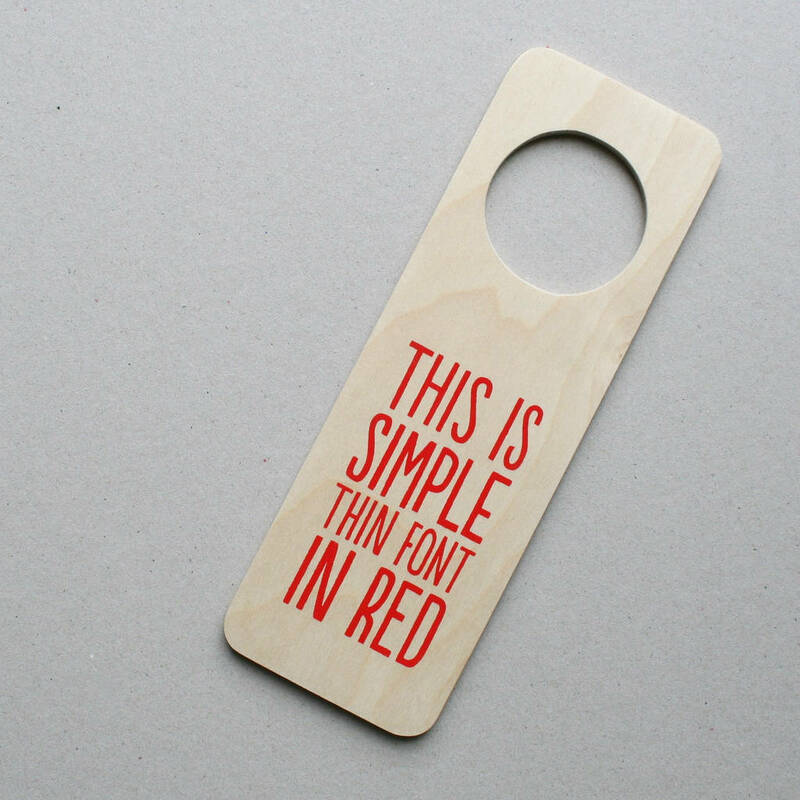 Screen printed onto 6mm birch ply wood. Clean lightly with soft dry cloth.